The Italian National Olympic Committee (CONI) has signed a partnership deal with Japanese car manufacturer Toyota. The agreement between the CONI and Toyota, who are also an Olympic TOP Sponsor, is due to run until the end of 2024, where the Summer Games will take place in either Budapest, Los Angeles or Paris. It will see the car company become the official vehicle of the Italy Olympic team. As part of the deal, which came into effect on January 1, Toyota delivered 25 low-emission cars to the CONI, including RAV4 hybrids and five Lexus hybrids. 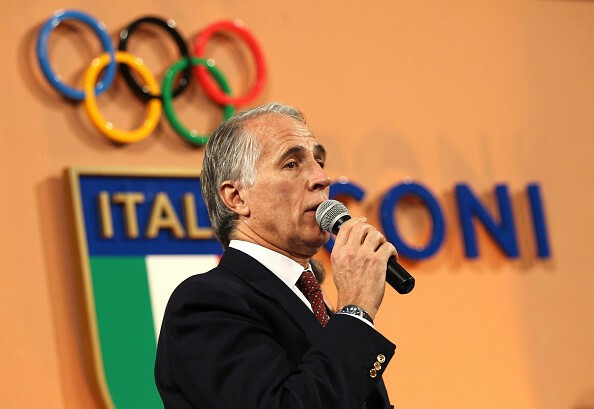 CONI President Giovanni Malagò and Toyota Italy chief executive Andrea Carlucci were in attendance at the signing ceremony, along with five members of the Italian Olympic team. Olympic silver medallists Daniele Lupo, who competes in beach volleyball, and judoka Odette Giuffrida attended the event. They were joined by Olympic bronze medal-winning rowers Marco Di Costanzo and Matteo Castaldo, as well as rhythmic gymnast Marta Pagnini. "For the world of sport it is an important day because it marks the beginning of a relationship with an excellence of the automotive world," Malagò said. "For the CONI, the Toyota has a new partner, but at the same time an important partner that has achieved success in the world in terms of mobility. "We are delighted with this agreement. "Toyota is a leader and we are particularly honoured to celebrate this understanding that allows us to travel into the future." Carlucci added: "This partnership represents an important milestone for Toyota and reflects the common values on which our brand has always worked. "Through this partnership, long-term, I am sure that we will develop innovative programmes that will increasingly see sport at the forefront of mobility."